Sea Squirt - "Botryllus Schlosseri"
The Star Ascidian - "Botryllus Schlosseri", a Colonial Sea Squirt. 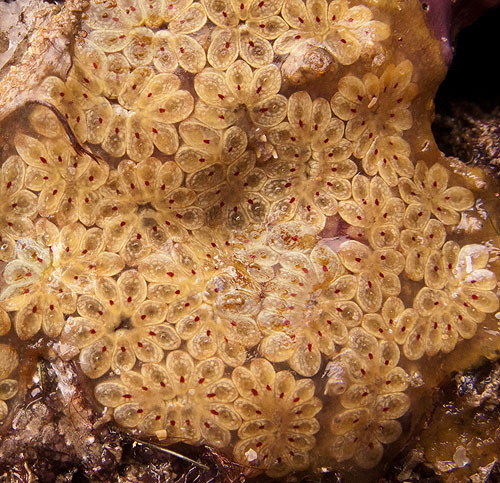 In colonial form , individual Sea Squirts (Zooid) share a sturdy outer skin (tunic). Each squirt has their own inhalant siphon to draw in the water, but may share an exhalant siphon. St Catherine's Island - Tenby.